Packaging Size: 1 kg smallest pkg. 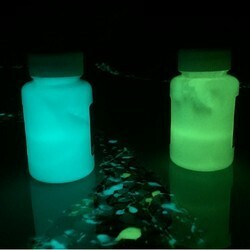 We are manufacturing Radium night glow paint for water base use. 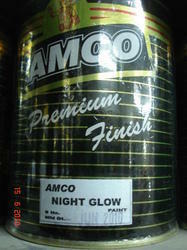 Being a market chief of this domain, we provide the premium quality of Night Glow Paint. Their rich attributes such as purity and resistance against moisture, makes the offered products highly demanded. Fine quality of paint , glow in dark. Available in 4 Colours. We are providing radium paints for kid rooms to create day and night effect. Note:- We provide on apply-supply basis. paint starry sky in your bedroom.